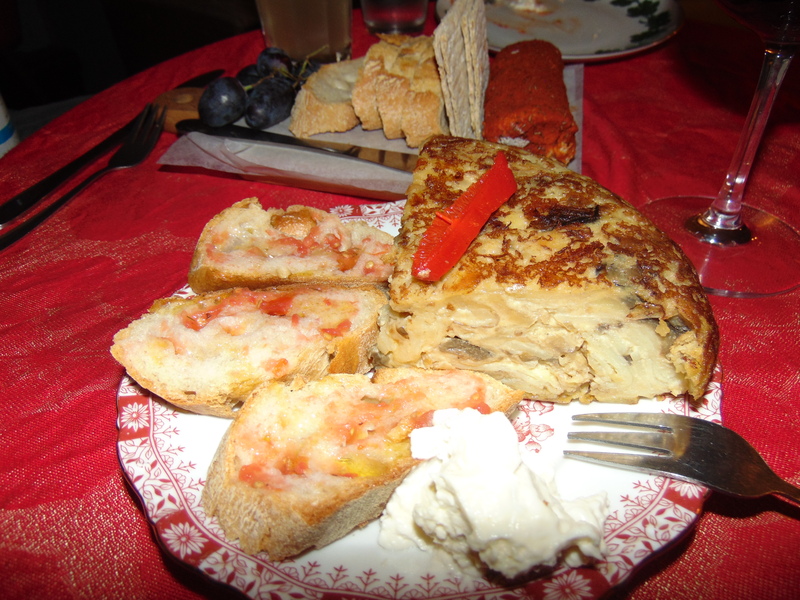 Tapas comes from the Spanish word meaning ‘lid’ or ‘cover’, and it’s rumoured that it started as a hunk of bread or little plate covering a glass to protect the booze inside from flies. Whether that’s true or not, we can safely say that tapas dishes have vastly improved over the years. I had some excellent tapas in Spain two summers ago (most notably from B12 in Madrid), and last year I found some in the slightly unlikely destination of Berlin! I once had all-you-can-eat brunch at Alaska, and was keen to get back for the evening tapas menu. It’s a really cosy and cool place with mismatched furniture and fun art, and really friendly service. There were about ten different dishes on the menu, and it was very difficult to narrow it down, but here’s what we got. 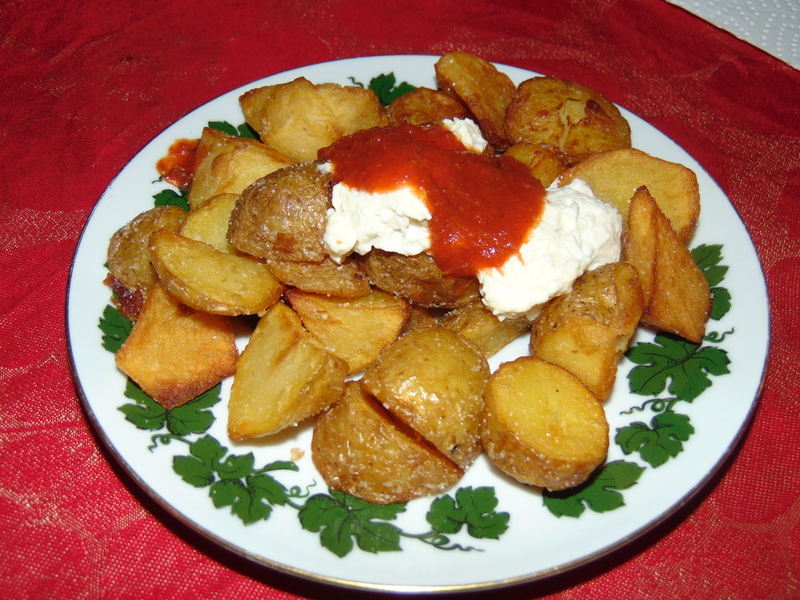 Patatas bravas are a tapas must, in my eyes, and these ones didn’t disappoint. The potatoes were very crispy on the outside, really cooked to perfection. The alioli was packed with garlic, and the hot sauce was just the right level of fiery for me – in fact, a bit more of it wouldn’t have gone amiss! Whenever I see tortilla on the menu, I have to try it! 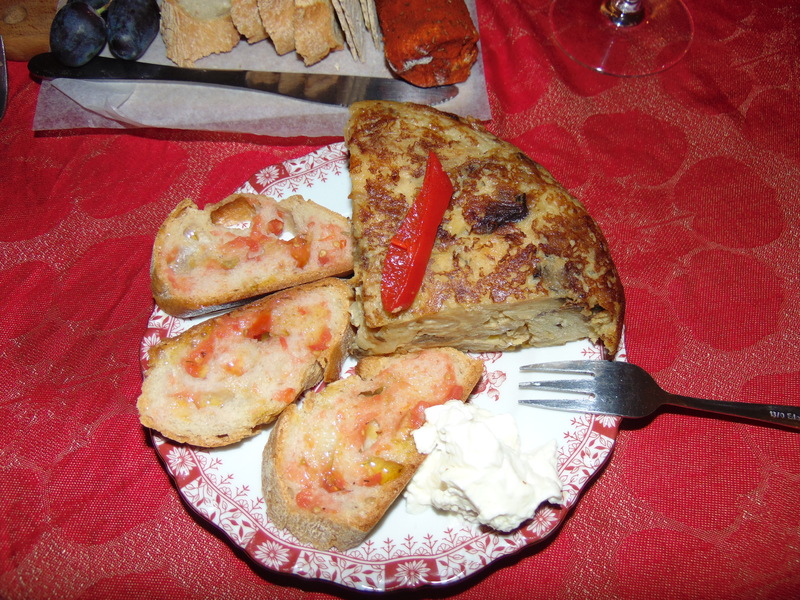 This potato omelettey dish was a very popular choice with other diners that evening, with good reason. Obviously, it was huge! The texture was great too. I was a little baffled by the bread on the side, but Dr HH enjoyed slapping some tortilla on top. 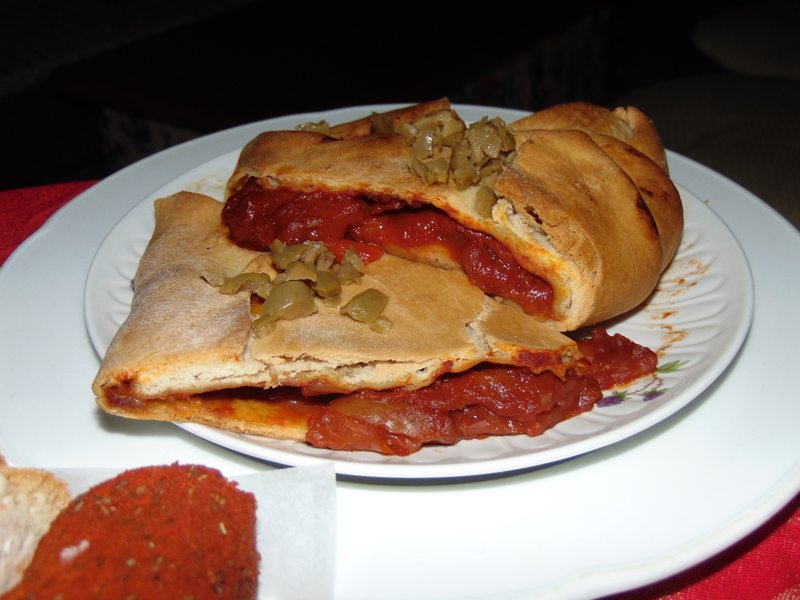 The pastry on the empanada was top notch, but the filling was a little unexciting – all tomato and red pepper, when a bit of mushroom or olive (there was a small olive scattering on top, at least) would have livened things up a bit. Again, this was a huge portion. And finally, we got some cheese! The menu on the chalk board gave the impression that this was going to be a mini cheeseboard, but alas, we just had a choice between the two daily specials. We settled on this soft cashew cheese paprika log. It was lovely and creamy, and the spice really made it sing. I loved it on the crackers, but couldn’t manage any bread after everything else we’d devoured! In conclusion, Alaska is just as good in the evening as it is for brunch! 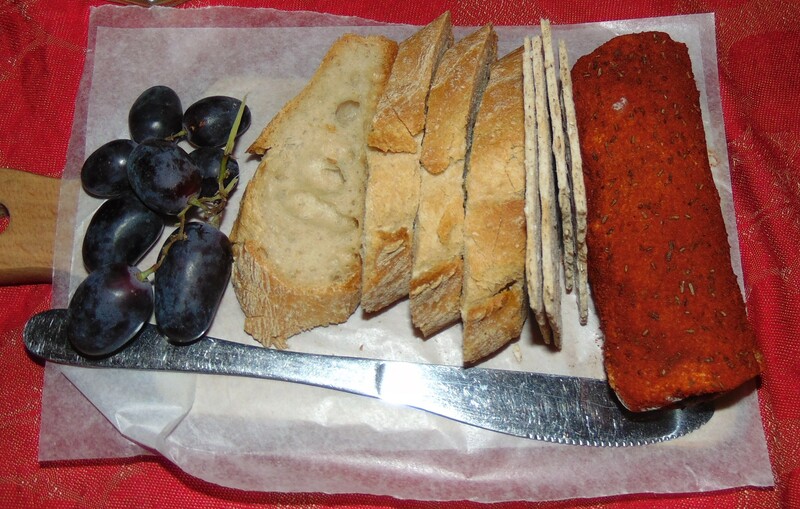 The portions are generous, and the food is well seasoned and really tasty. I’d love to tackle a few more items from the tapas menu! And they have a great cocktail and wine menu too, if you’re looking to indulge. Me: I thought this was the most romantic song in the world when I first heard it. Dr HH: And now you know it’s just rubbish. Me: What?! Isn’t this the way you feel about me?! Dr HH: What are the words again? Dr HH: There’s no way I’d ever want to stand on a mountain with you! You’d be moaning about being scared of heights, you’d be hungry, it would be a nightmare. Which of these tapas plates would you most want to try? And what’s your favourite tapas dish? This entry was posted in Travel, Vegan Mofo and tagged Alaska Bar Berlin, vegan Berlin, vegan travel, veganmofo18. Bookmark the permalink. I’ve never really done tapas, so I wouldn’t know what to expect. I know my father in law KIND-OF treated us to tapas that he cooked himself, but I don’t think that counts. Going for tapas is quite trendy in the UK, so I’m surprised it’s not the same in the US. Homemade tapas definitely still counts! And thank you for your support regarding Dr HH!